Are you looking for a new opportunity in production? Luttrell Staffing Group in Hillsville is currently hiring for Production Operator | Assembly | Manufacturing. If you are looking for an exciting new opportunity with a local established company, this is the job for you! All shifts are currently available. Pay rate for 1st shift is $11.00/hr, 2nd and 3rd shift is $12.00/hr. Great benefits package upon hire which includes health insurance, 2 weeks paid vacation, 10 paid holidays and 401k. Direct deposit and cash card are available. Qualified candidates must be able to lift up to 50 lbs, live in the general area and pass all screenings. Steel toes and Diploma/GED are required. NO experience is required for this position. Please apply by clicking the link below, then call our office (276) 266-3577 today! 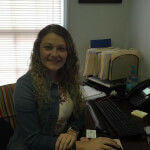 Brandi joined the Wytheville team in February 2015 as a part-time Administrative Assistant. She was promoted to Branch Manager in 2018 and has been helping Hillsville job seekers ever since!